Six-minutes to bubbling cheese, fresh roasted toppings, and a perfectly grilled crust. 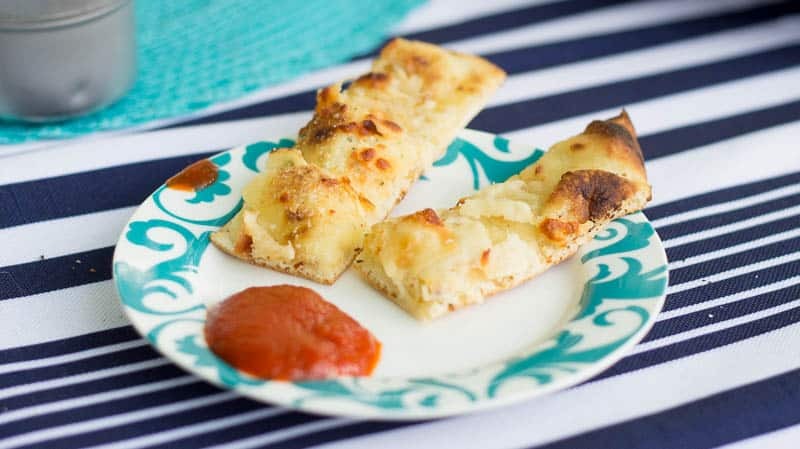 This recipe makes grilled pizzas a simple and, if need be, quick dinner recipe for busy families. Yet, we decided to use this unique recipe as an opportunity to sloooooOooooOoooOow down. 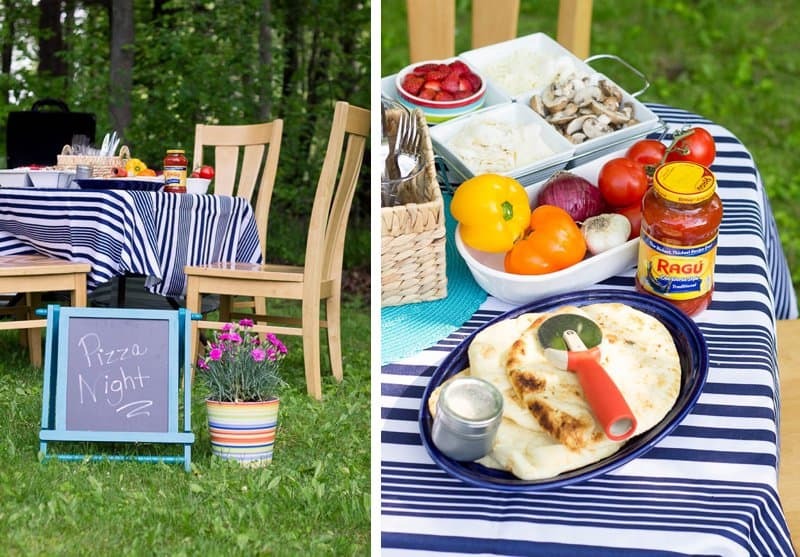 Below you’ll find the full recipe for Ragú® Family-Style Grilled Pizza, as well as five tips for how to use this quick recipe as an opportunity to enjoy a slow family dinner. Sitting down for a traditional family dinner every day is becoming more and more challenging for modern parents. My theory is, if you can’t make a daily commitment, make a commitment to truly be present when you do sit down together. Here’s the simple truth… you’ll never find time; you need to make time. Look at your calendar and book time with your family for a dinner. You won’t regret it. 2. Pick a recipe EVERYONE will love. If your house is like mine, this task is easier said than done. 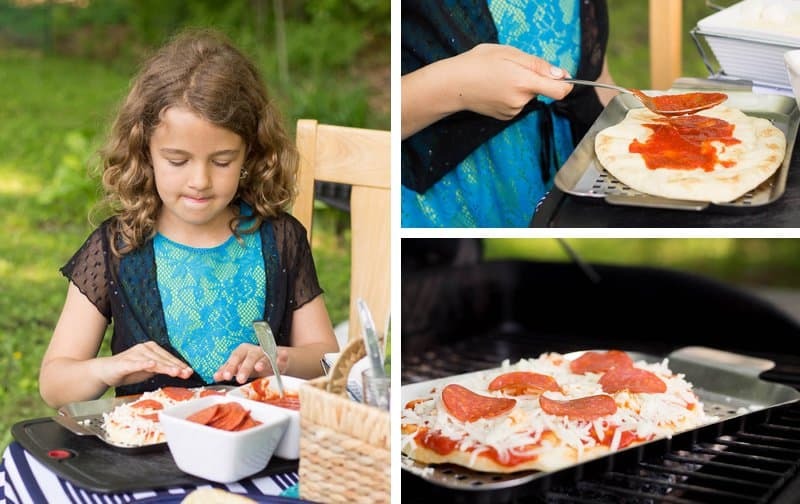 Inspired by this Ragú recipe, we decided to do family-style grilled pizza using flatbread. What I love about using naan flatbread is that it allows us all to individualize our pizzas. In other words, everyone’s happy. A unique family-style grilled pizza recipe inspired by this original Ragú recipe. Place flatbread on grilling grid. Evenly spread Sauce on crust, then top with pizza toppings and cheese. Cook through indirect heat on top rack for 5 - 6 minutes or until cheese is melted. 3. Take pride in setting the scene. Once you’ve picked the recipe of your choice, do something special to show your family that you’re committed to spending time with them. Special doesn’t need to mean expensive or complicated! It can be something as simple as lighting a candle at the table, printing fun place mats, or saying “yes” to eating outside. 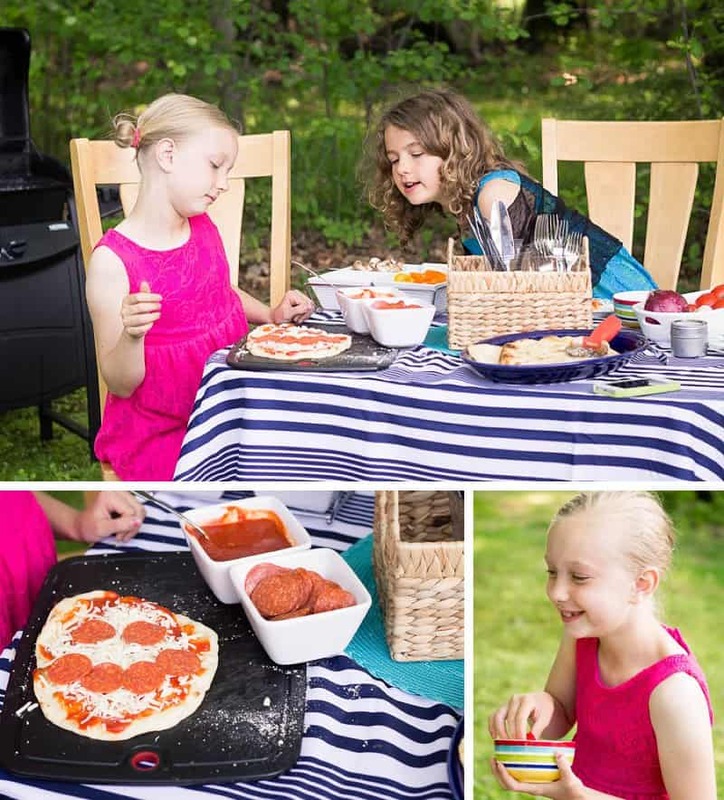 Our family recently “celebrated summer” with a grilled pizza night. Summer evenings are inherently enchanting, but it never hurts to add to the magic. When the girls walked into the backyard they were thoroughly amused by the chalkboard invitation. A tablecloth and a potted plant, snagged from the front yard, quickly make this simple dinner into something special. 4. Involve the kids in the prep work. A true family dinner should allow each member to pull their own weight. Plus, it gives you a chance to sit down and chat with them while they work. Don’t miss the opportunity! 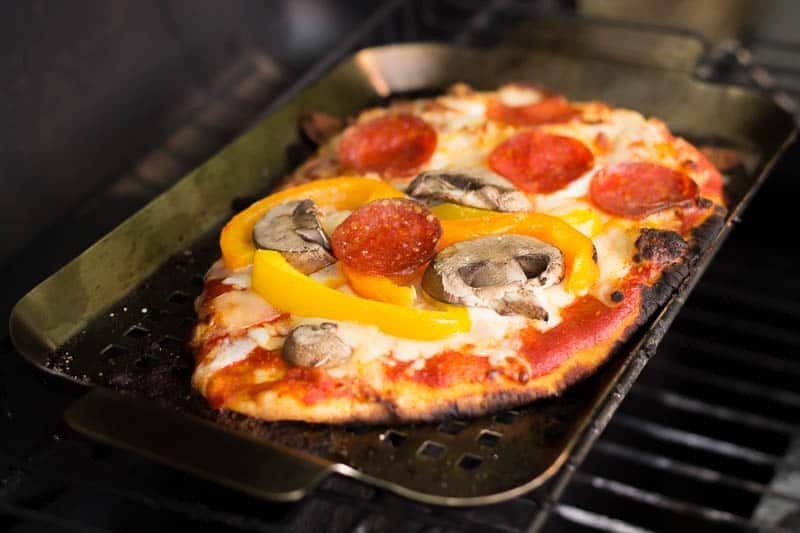 Fresh veggies are a must for grilled pizzas. 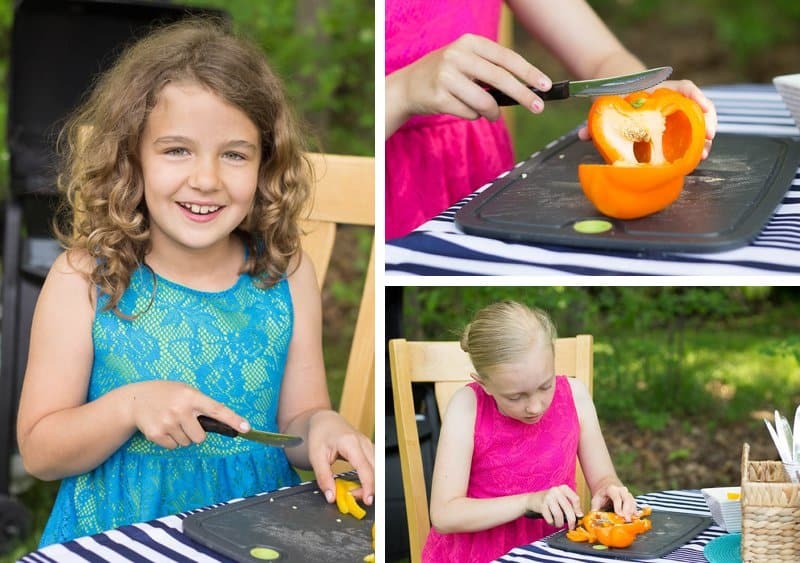 If your kiddos are old enough, get them cutting. 5. Enjoy the space between. What I love most about this recipe is the space between. 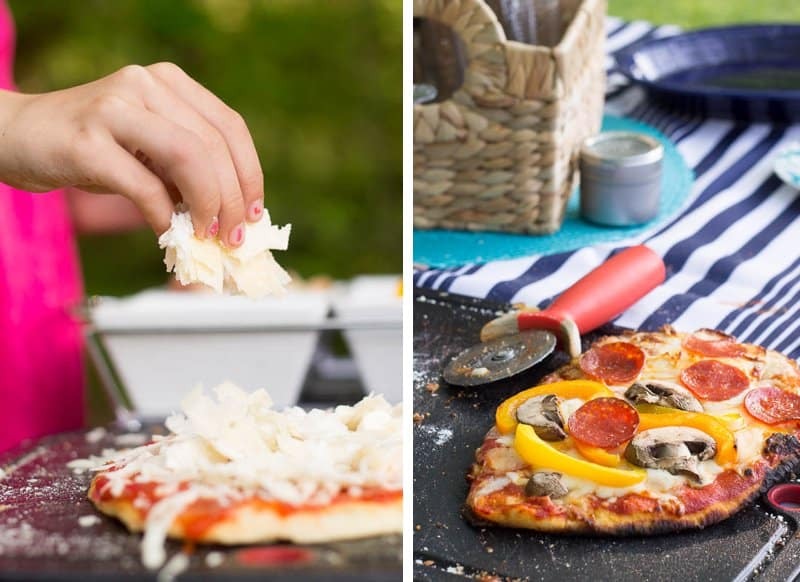 Yes, you can fit more than one of these personal-sized pizzas on your grill at a time. Nonetheless, I recommend you do them one at a time. This allows your family the opportunity to slow down and enjoy the evening. Spacing out the pizzas also gives you the opportunity to experiment. We ended up making naan garlic bread, which we dipped in Ragú Sauce. Nom. Nom. Nom. We’d love to see YOUR Saucesome moments, too. Ragú explains that Saucesome is mealtime magic, like when good food, family and friends come together. Or the lasagna YOU made (high five)…the taste of which sends everyone running to the table. Or the inevitable (and uncontrollable) laughter you hear as the kids gobble down chicken parm n’ share secrets at the table. You know the feeling. Saucesome. Let’s celebrate it. 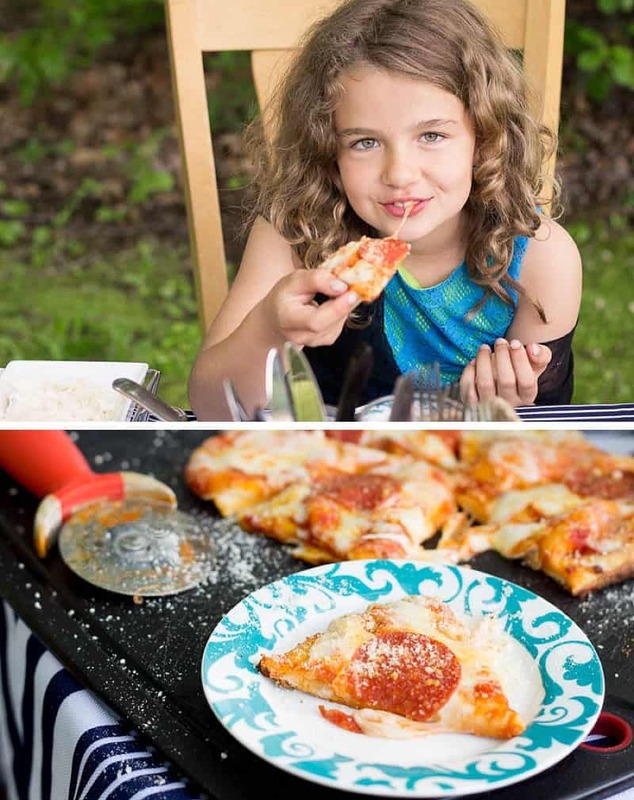 If you try the pizza out or have your own Saucesome family moment, we’d love if you’d share pics on our Facebook page. P.S. 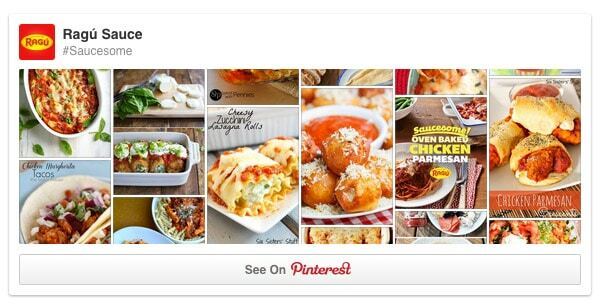 If you’re looking for more recipe and family-dinner inspiration, be sure to follow our Awesome?!? Saucesome! Pinterest board. Be sure to also check out Ragú’s #Saucesome board, too! Such cuteness in this post! I love the naan bread idea too! My kids would love this supper idea!